September is National Suicide Prevention Month, and I like to spend at least the first week focusing on that, and the mental health issues surrounding the subject. It is, of course, a very complicated subject, but we can begin the conversations. We can talk, and we can make sure it's okay to talk. One conversation can change a life. 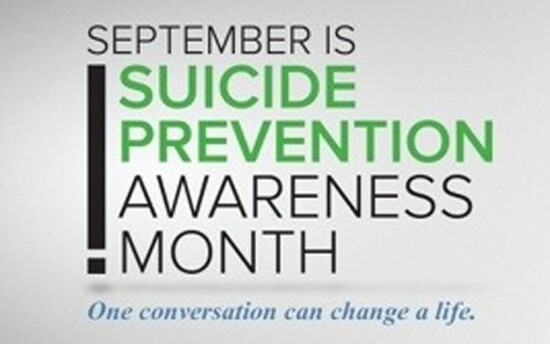 One conversation can save a life. If we all help where we can, we will have plenty of help to go around. If you or someone you know is in crisis, please call the National Suicide Prevention Lifeline at 1-800-273-TALK(8255) any time day or night. If you are in the USA, you can also text HOME to 741741. Someone is always there. You are not alone.